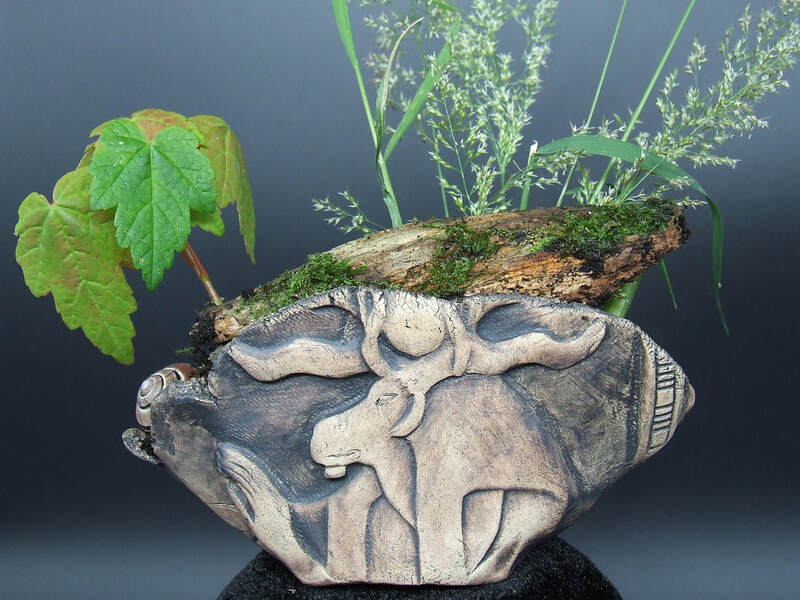 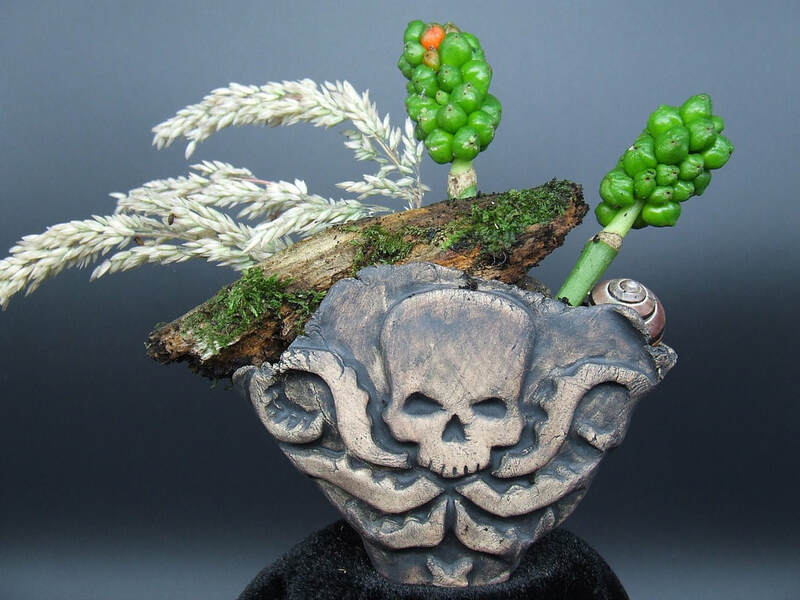 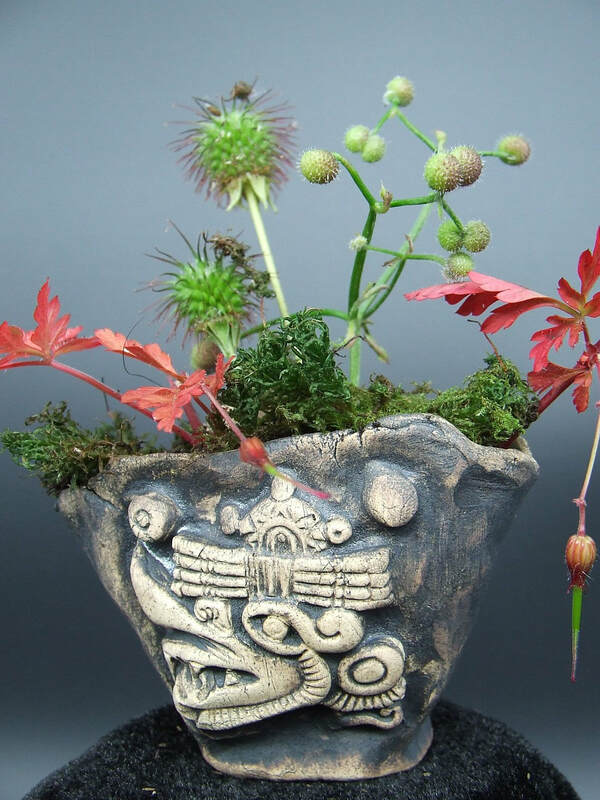 Kusamono pots are traditional Japanese ceramic pots that are intended as accompaniments to bonsai tree displays. 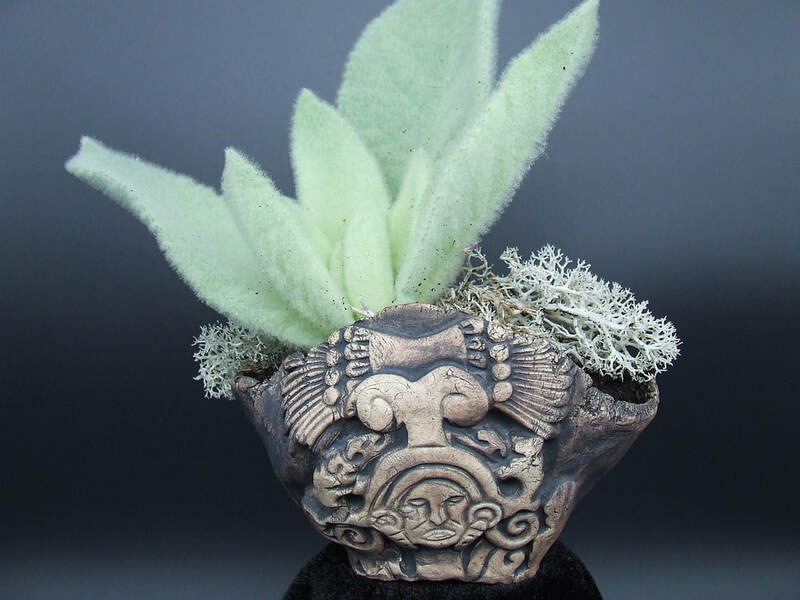 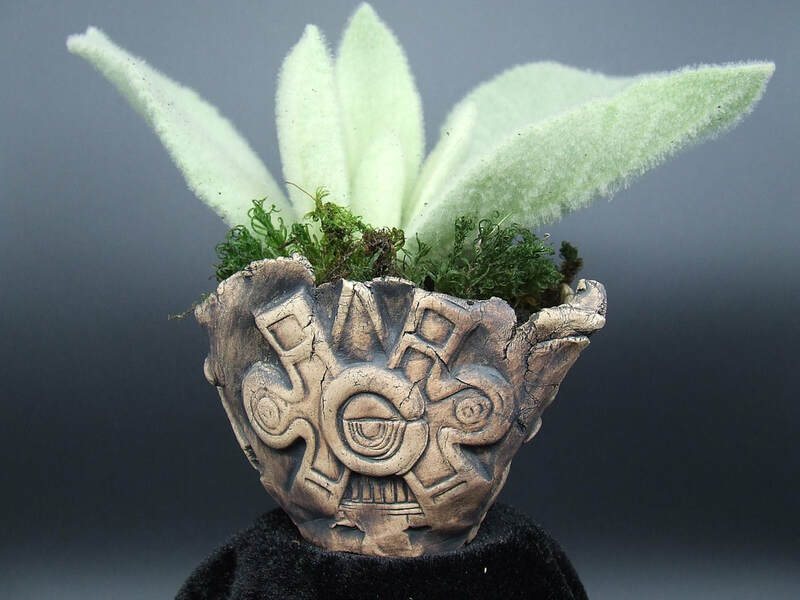 They’re usually quite small – easily held in the palm of one hand – and of organic style, such as seen with pinchpots. 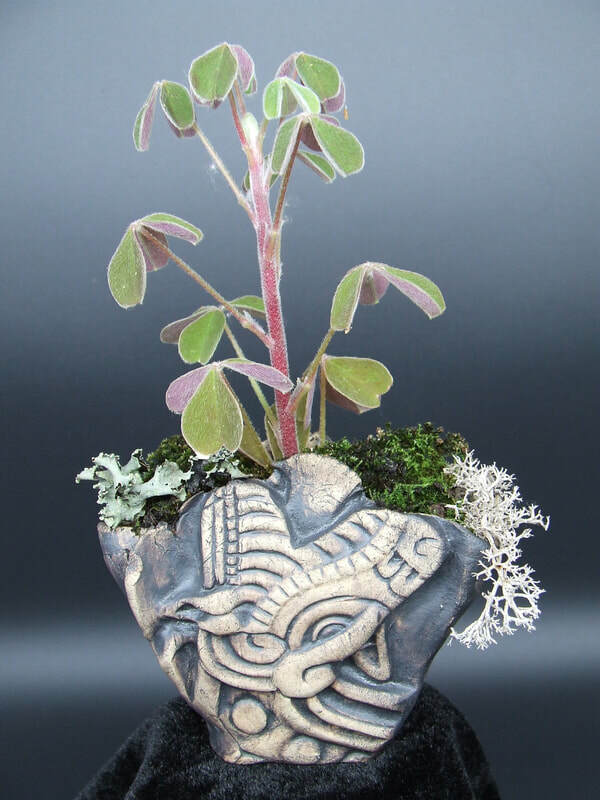 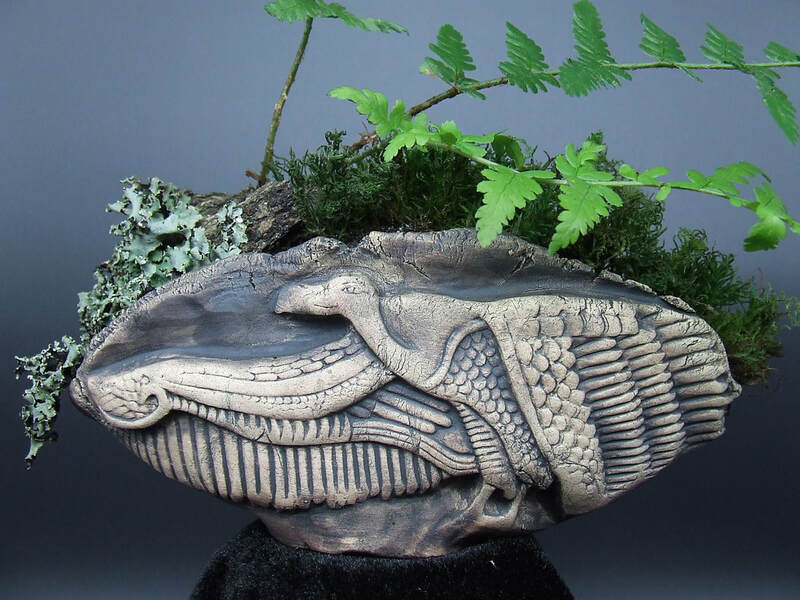 I became interested in kusamono pots after a recent visit to Australia. 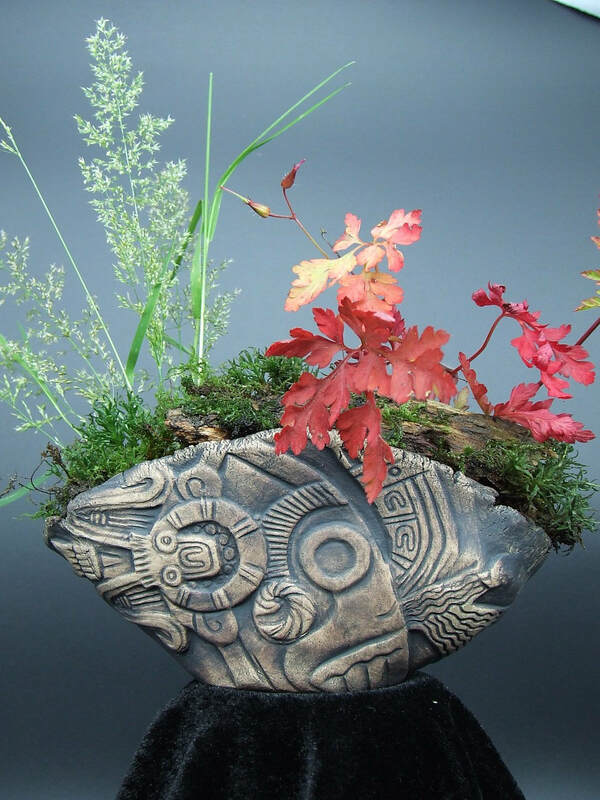 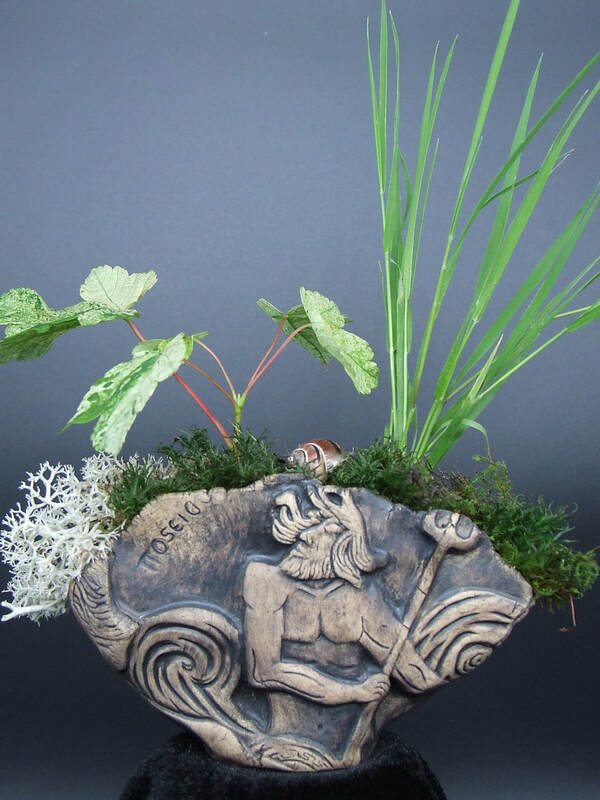 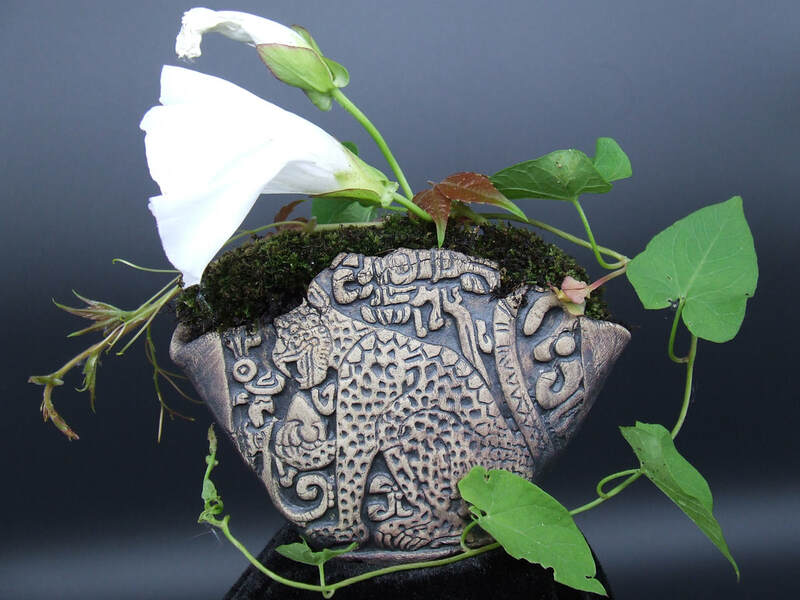 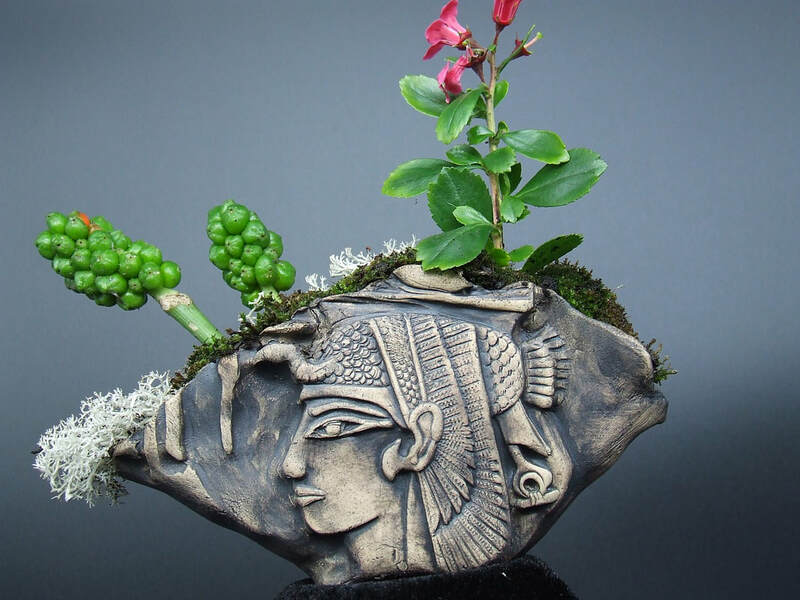 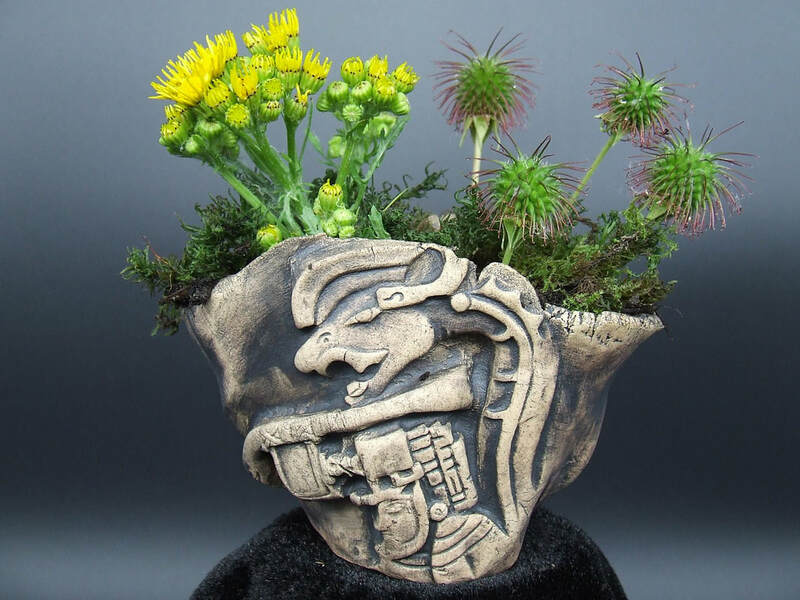 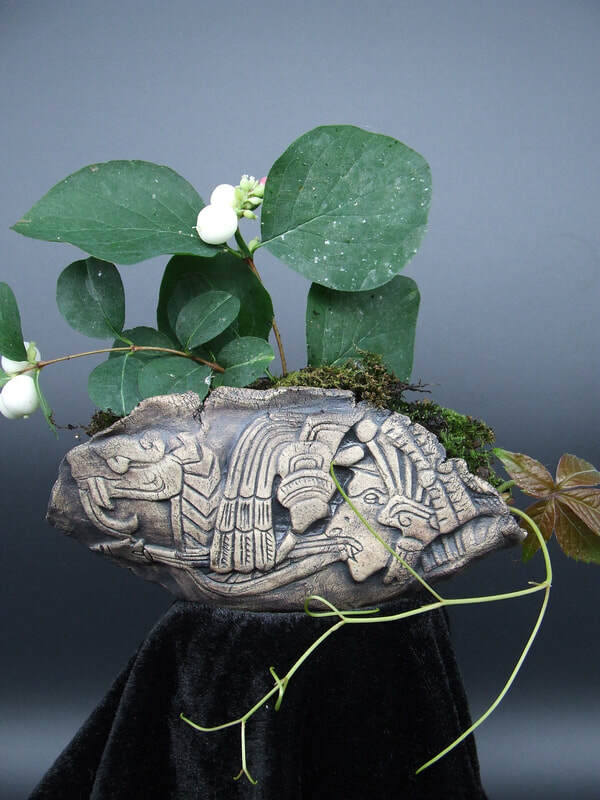 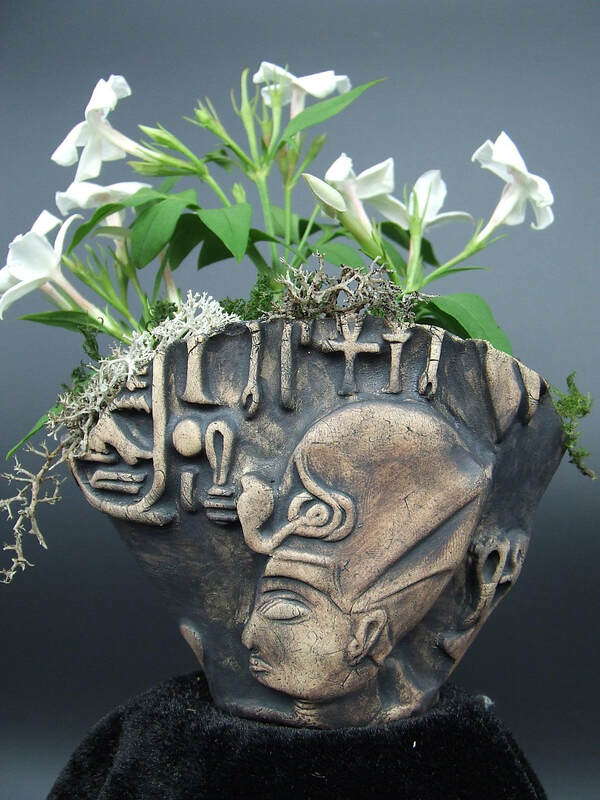 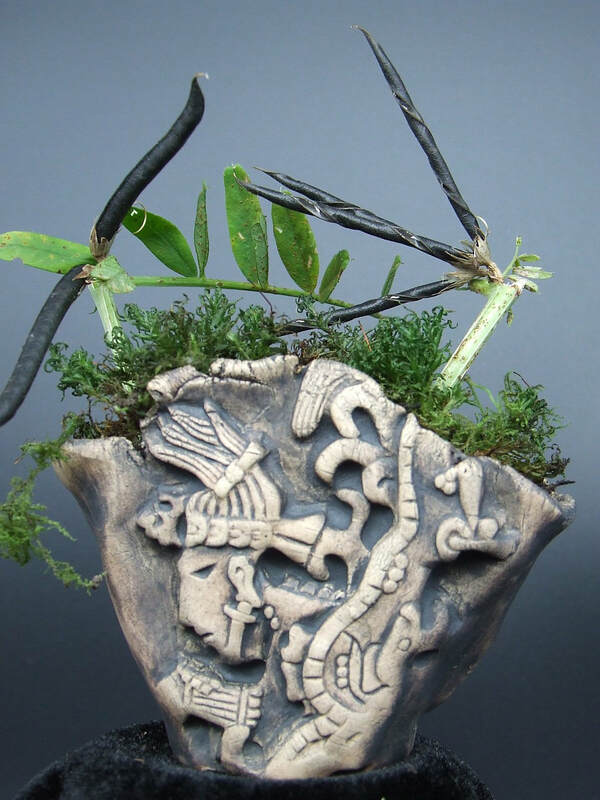 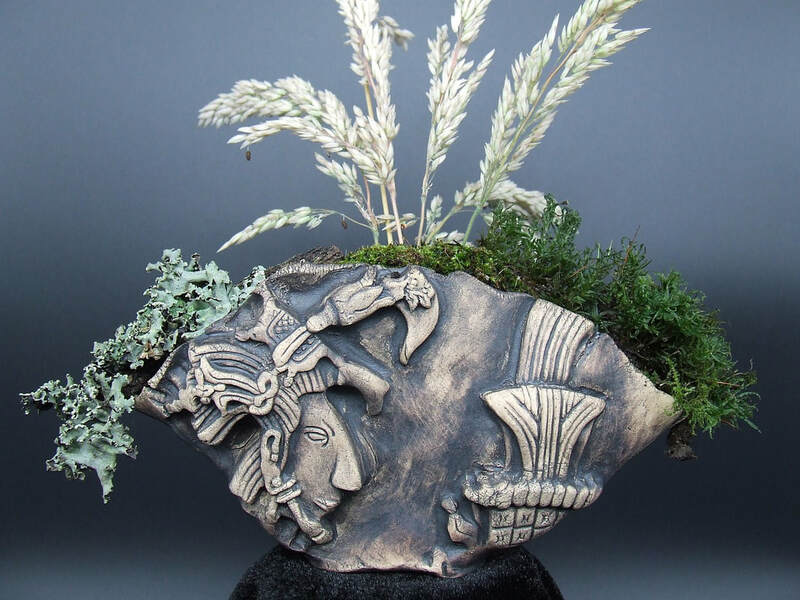 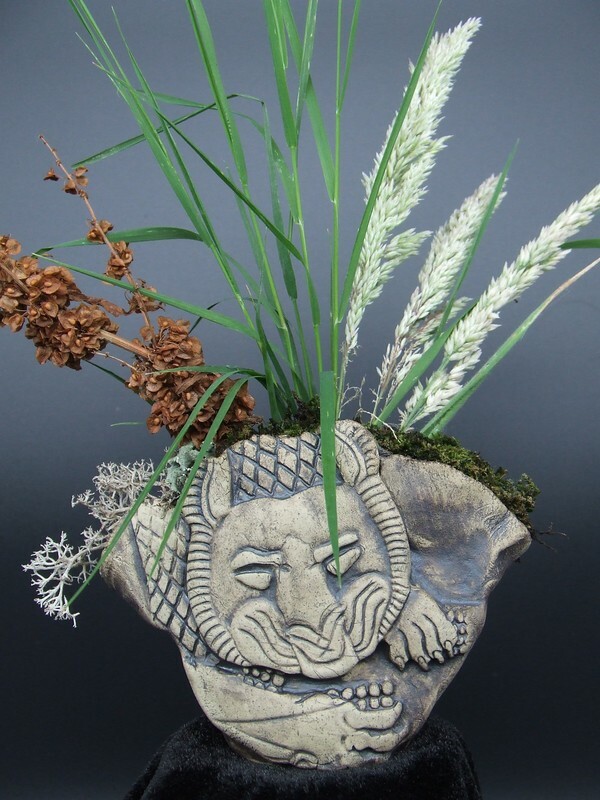 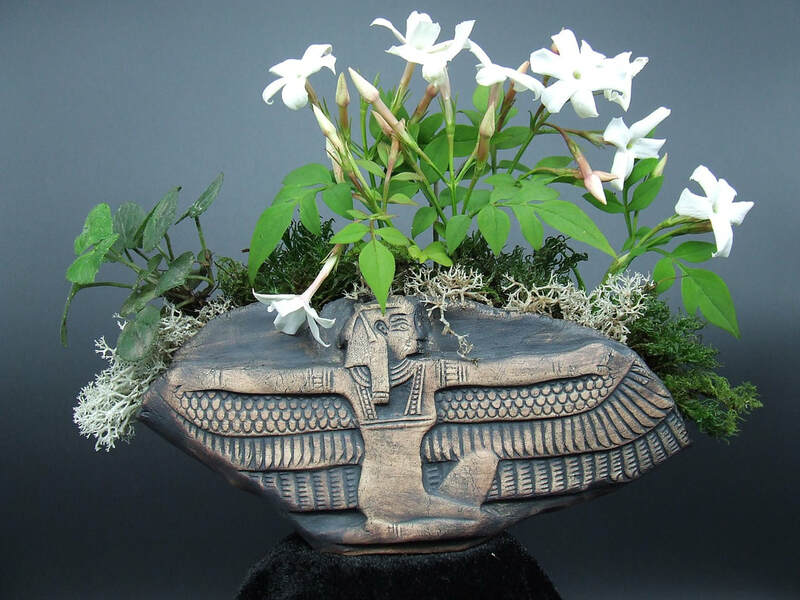 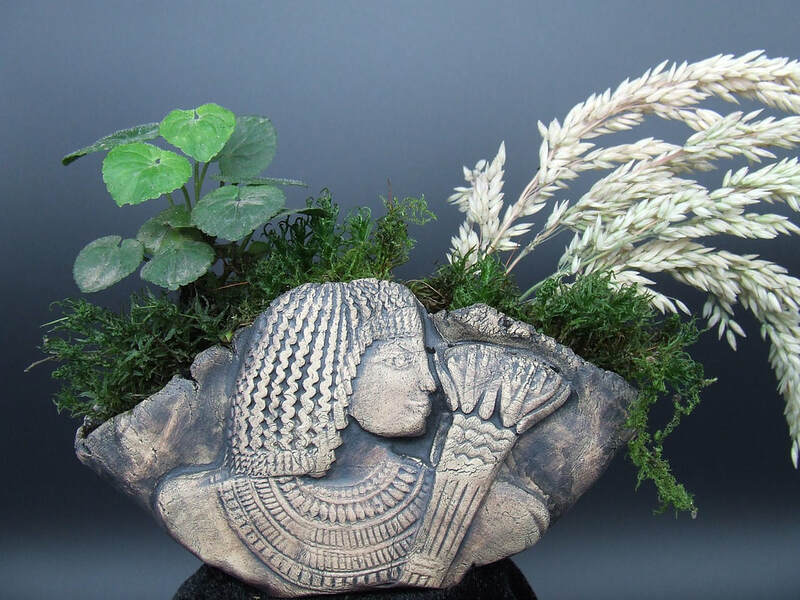 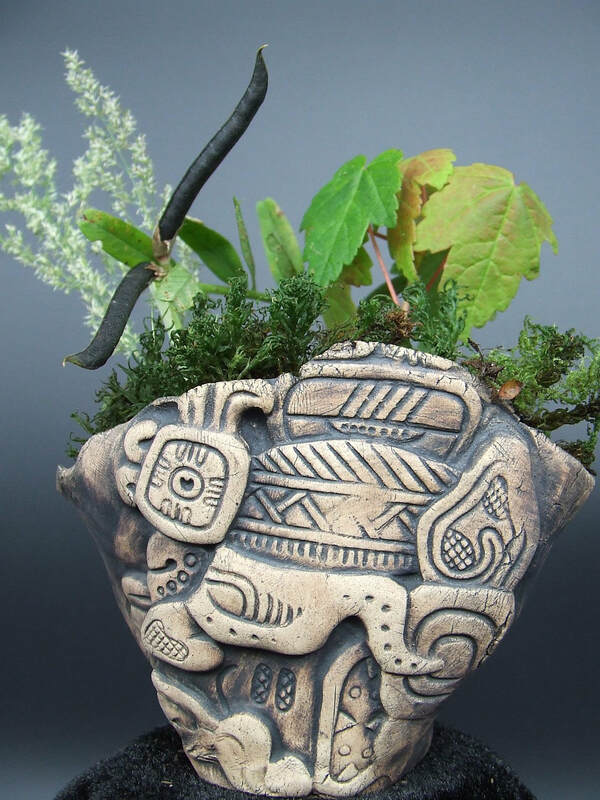 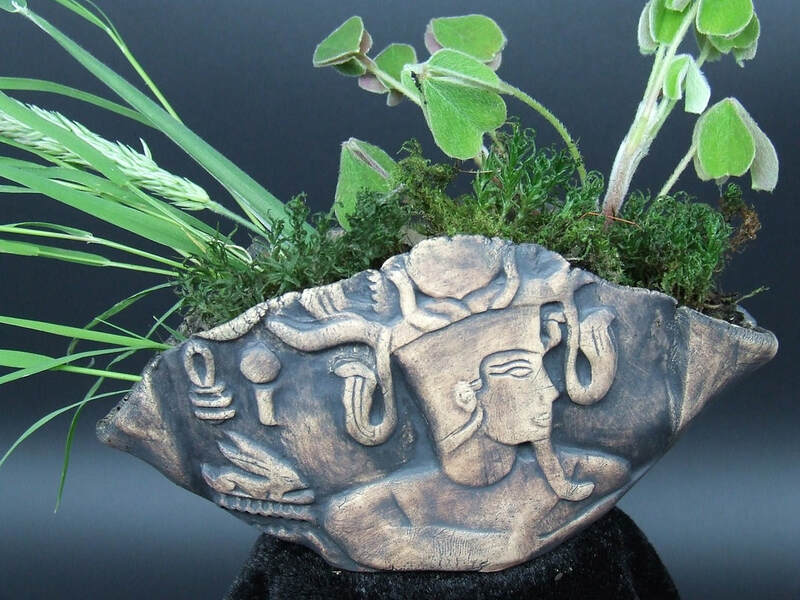 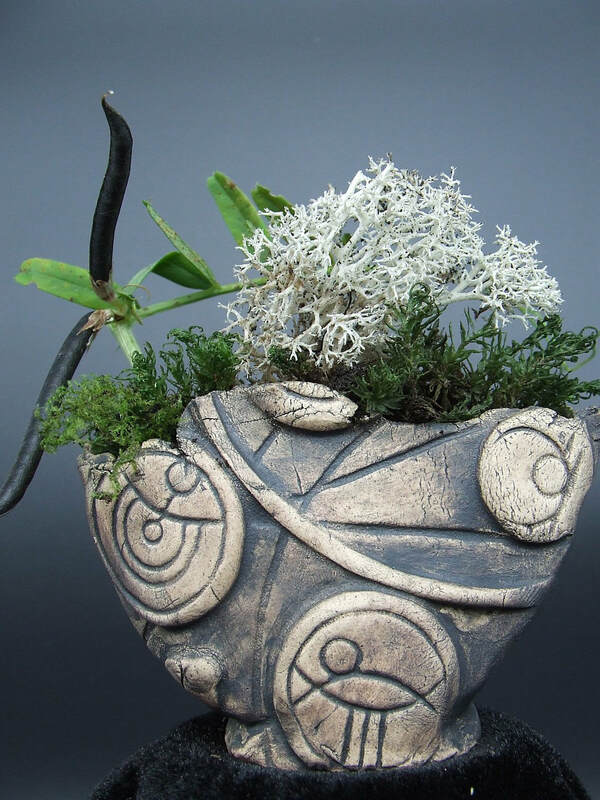 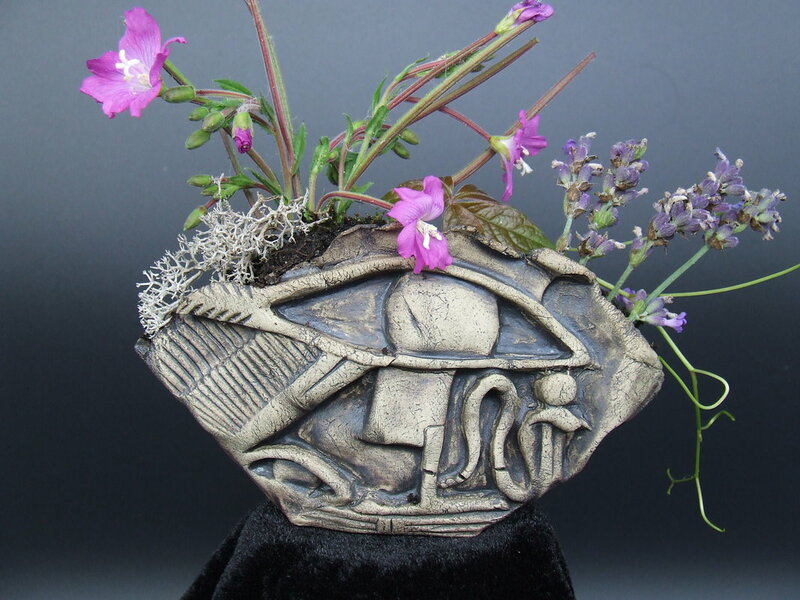 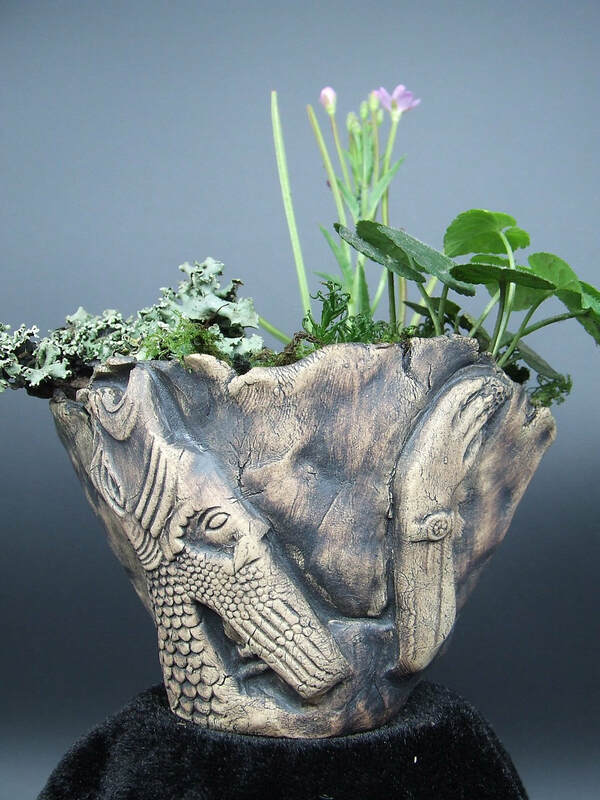 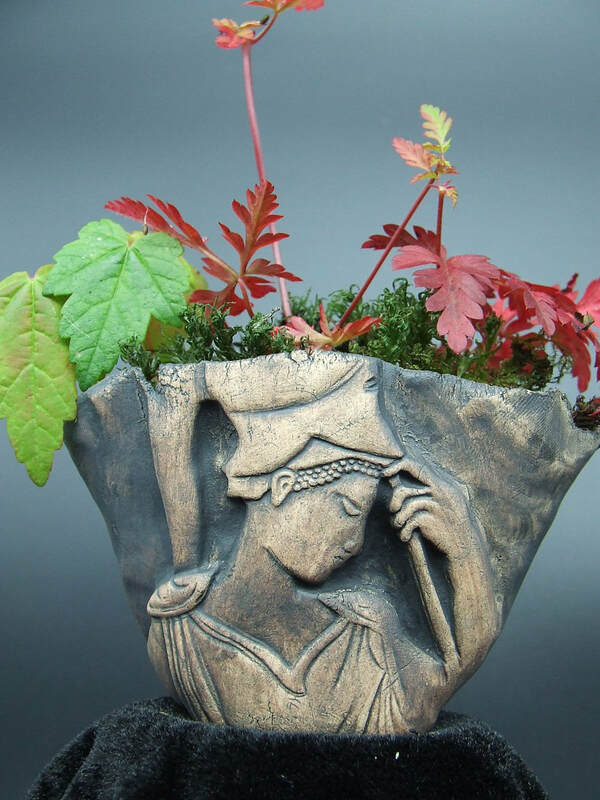 By coupling the historical form and function of these pots with my own ancient carvings, I wanted to bring a new style to an ageless design. 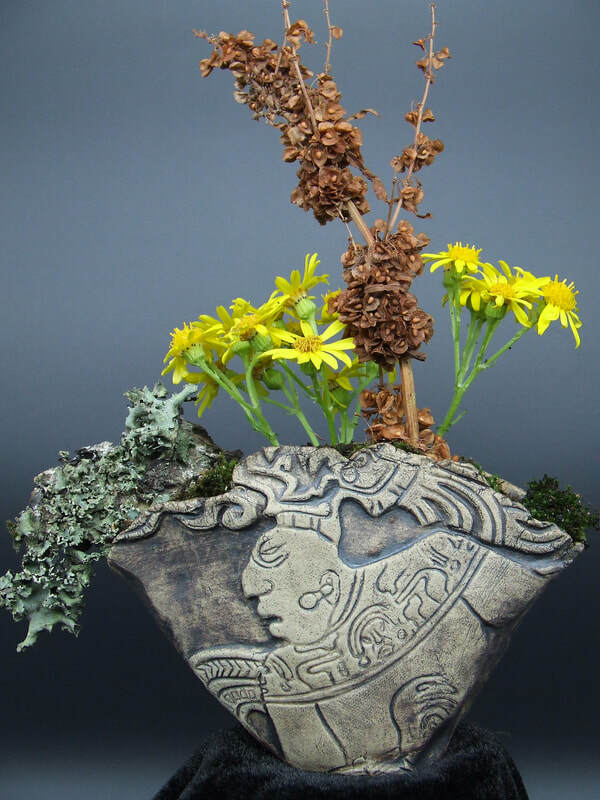 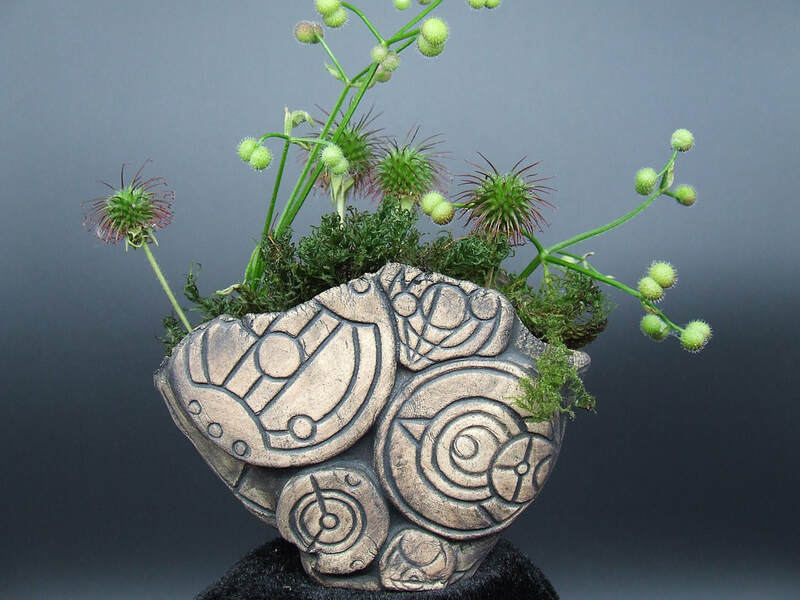 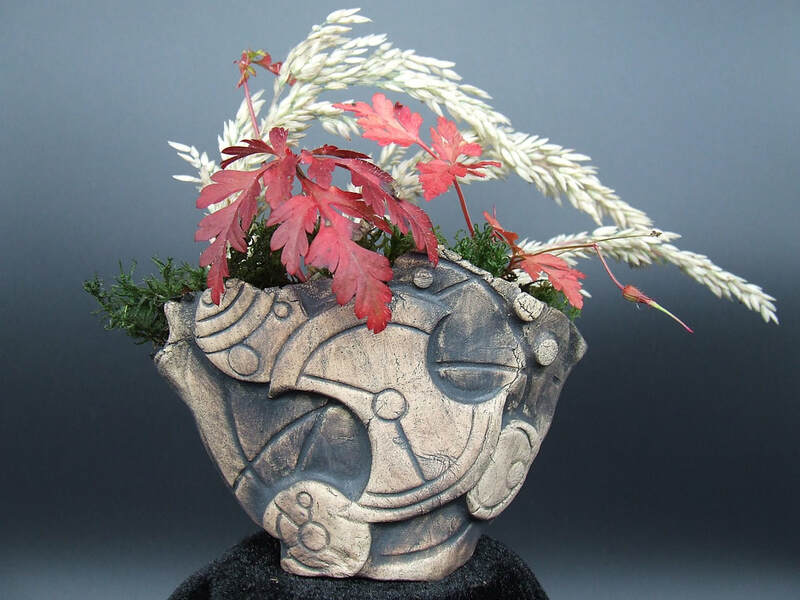 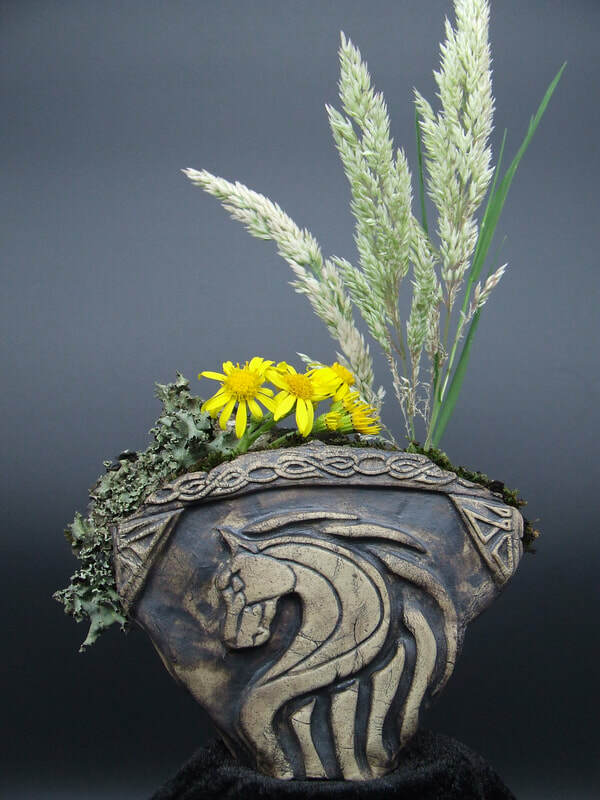 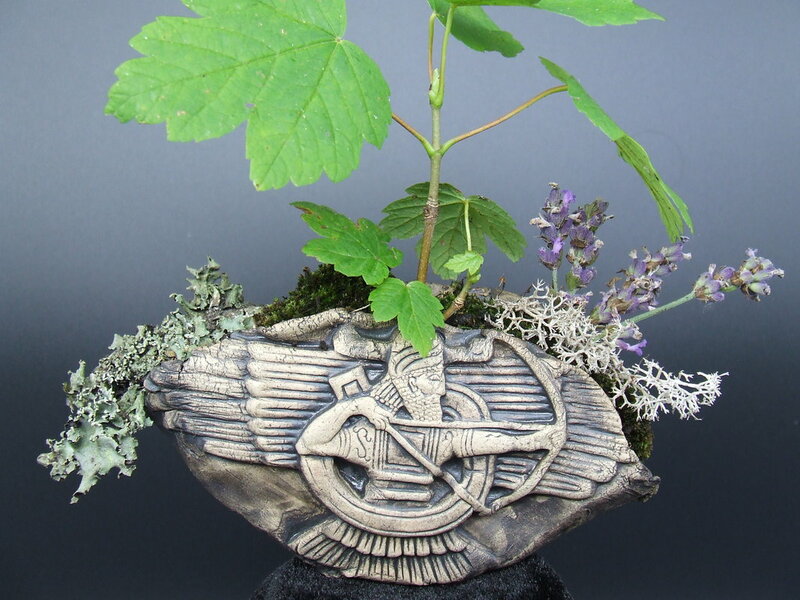 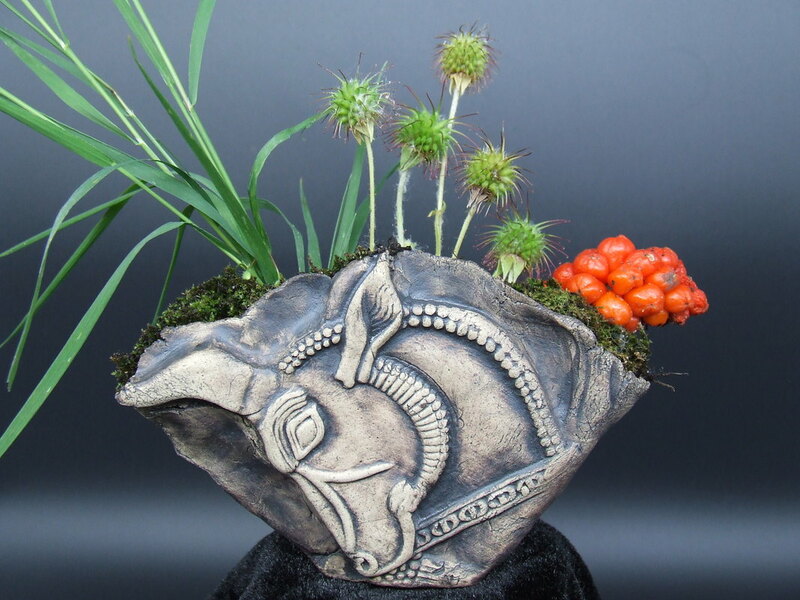 I've begun making larger pots in the same style, as well as the more traditional small kusamonos. 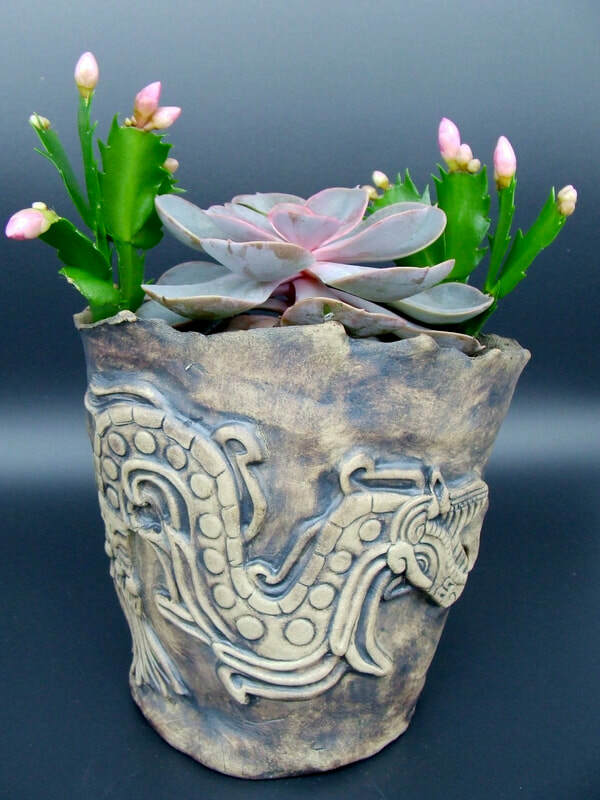 They will be available for purchase from my Etsy store, or contact me if you want a particular size/design.